Eric T. Ahrens, David H. Laidlaw, Carol Readhead, Celia F. Brosnan, and Scott E. Fraser. MR Microscopy of Transgenic Mice that Spontaneously Aquire Experimental Allergic Encephalomyelitis. 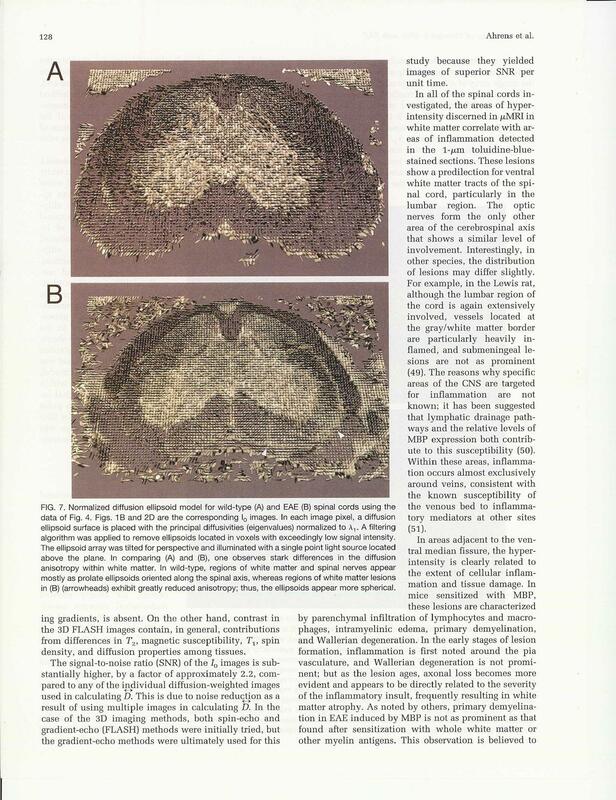 Magnetic Resonance in Medicine, 40(1):119-132, July 1998. (pdf) (bibtex: Ahrens-1998-MMT).